Firstly, I’m not a fan of buffet meals. It’s pricey and I always force myself to eat as much as I can to make it worth. Also, it makes me fatter. 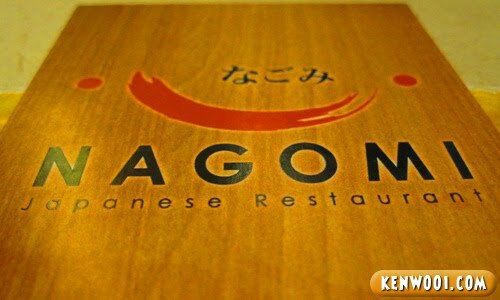 But recently I went for a buffet lunch at Nagomi Japanese Restaurant. 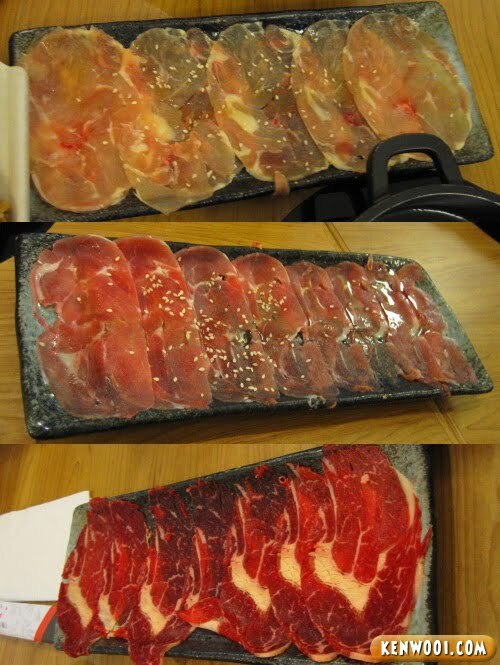 The main dish is called Shabu-Shabu – it’s basically hot pot which comes with thin slices of various meat. The choices of meat are Chicken, Duck and Australia Striploin (Beef). However, it’s limited to only 1 portion per person. Not so “buffet” eh? 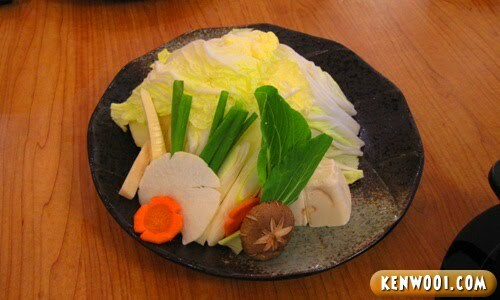 Besides that, the Shabu-Shabu comes with a plate of assorted vegetables. Personally, I think the main dish is just okay. Nothing so special about it. Other than the main dish, there are side dishes as well. Here are some of the side dishes we had during the lunch. 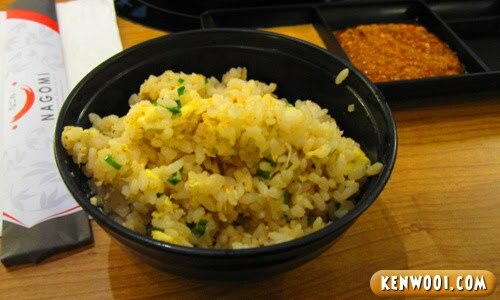 A small bowl of garlic fried rice that comes along with the other dishes. Since I was pretty hungry, I started eating whatever food served without thinking twice. Nom nom nom. 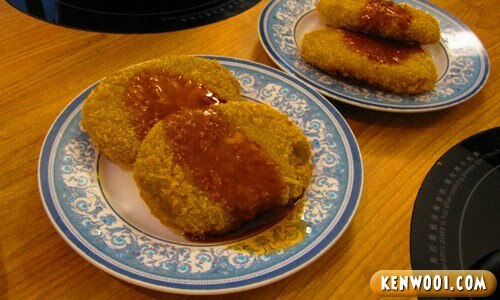 Personally, I like the deep fried Pumpkin Croquette. They look like hash browns but they’re actually made of pumpkins. The Ika Geso is definitely my top favourite dish. 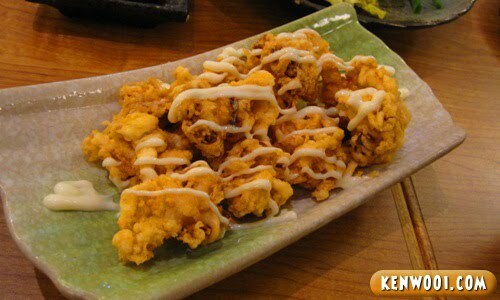 It’s fried squids with mayonnaise. So I ordered a plate all for myself. Crunchy and yummy! Also, we ordered the Temaki Handroll Sushi. Actually there’s a variety of handroll sushis but we only had the California handroll. 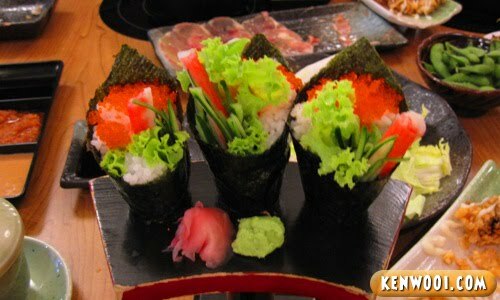 And some other normal sushi roll as well. The deep fried Chicken Karaage was also on our list. Somehow fried food are always delicious right? I got a plate for myself too! Just keep eating, nom nom nom! 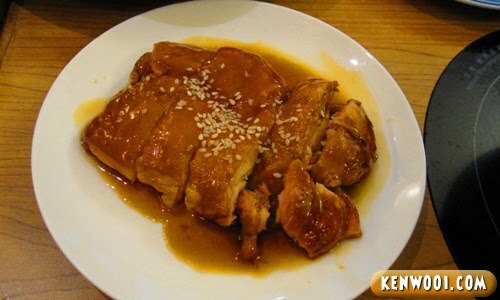 Next, the Chicken Teriyaki came a little late but I was still able to eat it. 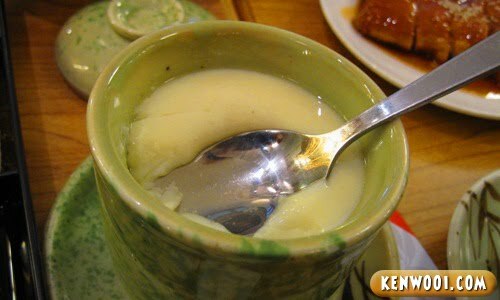 Finally, each of us were served with Chawan Mushi – an egg custard dish steamed in a tea cup. By the time I eat my egg custard, my tummy was almost bloated. My eating speed decreased. But I kept eating. I eat as much as I can. No regrets! 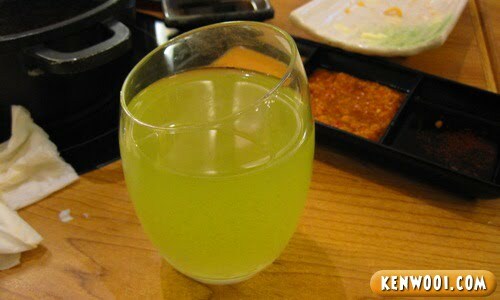 For the selection of beverages, one can have hot/cold green tea, Coke or 7-up. Despite the tempting soft drinks, we opted for green tea. 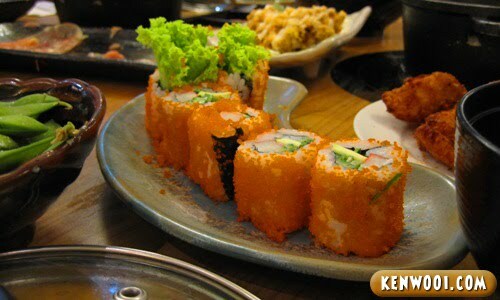 Overall, the selection of food is certainly worth the price paid for – delicious food, good service and fatter tummy. I wished I could’ve eaten more and skip my dinner, but there’s a limit. 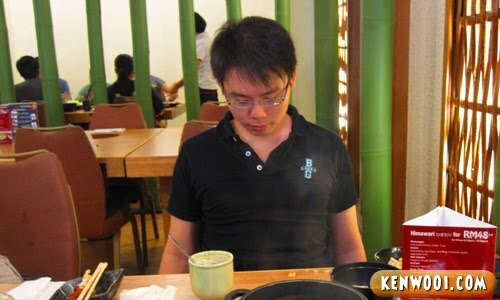 Towards the end of the buffet, I couldn’t take it anymore. Ate too much. You know, buffet meals are always a killer. Can eat until die. hehehe.. 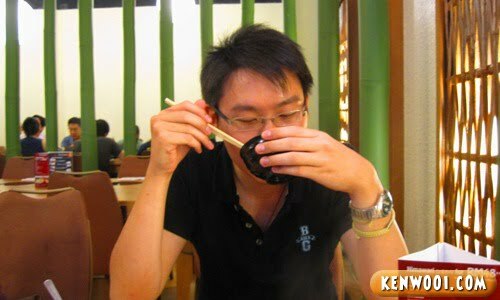 I don’t like sushi..
Eh, RM44 inclusive tax is cheap wei!!!! dude. 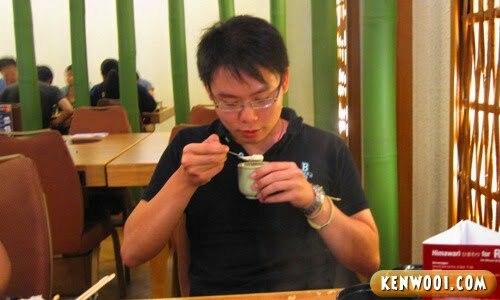 .. buffet is for the leisure to try different foods not for stuffing oneself. You didn’t mention the address? I hate buffets too. I end up regretting eating too much, and puke in the toilet. 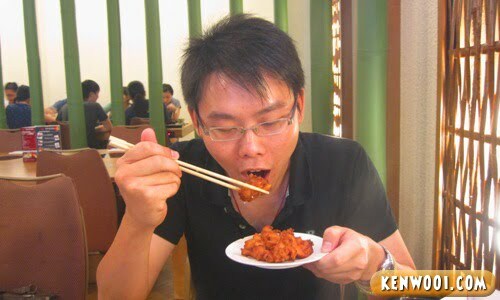 Haiz, cannot be too kiam siap in buffets. Ohh.. 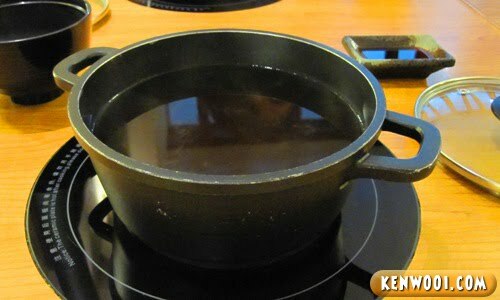 I love Shabu-shabu. We got it here too. The one I really like is from the authentic chinese resto here in Manila. Rm44 per person is pretty reasonable for a jap buffet.. :) At least you can force food down your tummy to make it worth while.. buffet is not the thing I love.. I can only eat that much and it’s a waste to treat me to a buffet meal.. lol..
is this restaurant halal? foods look delicious lah. U should post of pic of ur bare belly! you are a good eater!!! envy* I can’t eat much ever since I was admitted to the hops during my summer break..
haha moral of the story – eat less is better! 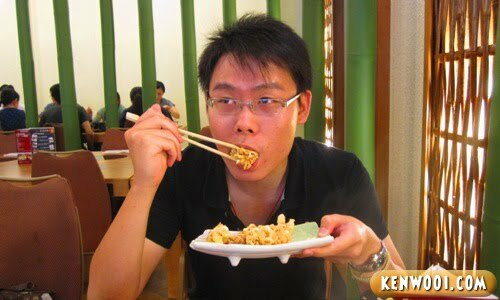 i luv buffet! haha.. it’s the freedom and choices of food that attracts me.. seems like you have a great buffet.. at the end of a buffet, it’ll always make up fatter.. anyway, enjoy 1st, think later..LOL.. I hate Japanese food. Last year I live in Japan for 6 months, but I not even once go to Japanese restaurant. Ken, you forgot to put ADV on the title right? hehe. Kidding. Walao eh I really want those good food!!! after this will go there for a taste and try..